I find Cameron Highlands awfully chilly during my last trip. It is a wonderful feeling to be up there in the highlands, breathing out ‘smoke’ as my little boy called it. We were feeling a little peckish mid morning and went hunting for Uncle Chow Kopitiam. We have seen the sign several times but haven’t seen the kopitiam before. Since we were staying at Tanah Rata, we followed the signboard and stumbled upon the tiny kopitiam nestled amongst some residential flats. Uncle Chow himself greeted us and suggested we sat inside the Grade ‘A’ (for cleanliness) kopitiam. But no….these town folks want to enjoy the breezy cold air. Two minutes later, we have to admit it is too cold to be outside. I immediately love the place because it is so homely and serves homecooked foods. Mrs. Chow chatted with my hubby and we learned that they have grown up children and they were from KL. Mrs Chow said they enjoy the weather in Cameron Highlands and she loves to cook, hence, opening the kopitiam. I saw rows of mouthwatering nyonya kuehs, bubur cha cha, gandum and wish we were hungrier to enjoy them. However, we only manage to eat the few items from the menu. 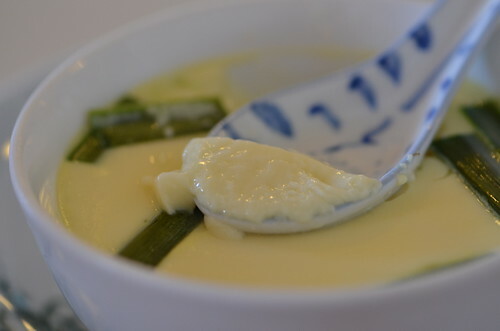 The special item for the day is the ‘Dan Dan’ or steamed egg. I wasn’t sure what dan dan is and when I saw the green thing on the egg, I thought it is some salty chawan mushi. 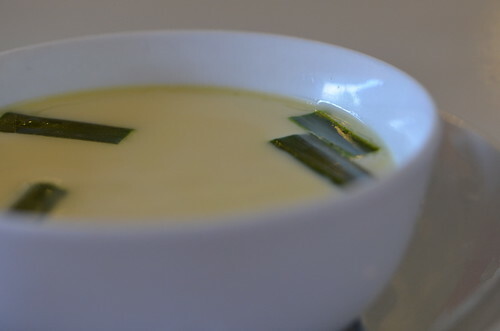 It turns out to be sweet egg custard and the green leaves are actually very fragrant pandan. Delicious. 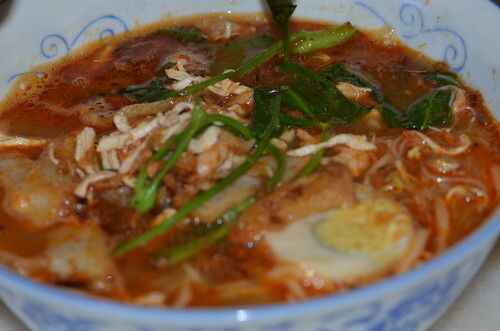 The Hokkien Prawn Mee my hubby ordered is huge and all of us enjoyed the steaming hot prawn stock noodle. I must say it is certainly nicer than those from Old Town or George Town and other kopikat kopitiam. 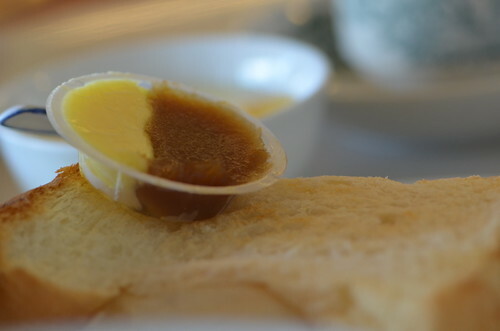 Meanwhile, my other sons ordered the butter kaya toast. 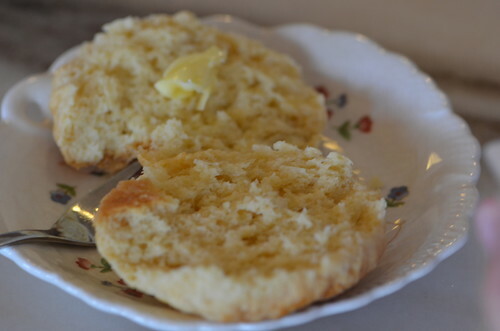 The bread is fresh and traditional. The kaya is homemade by Mrs Chow herself. 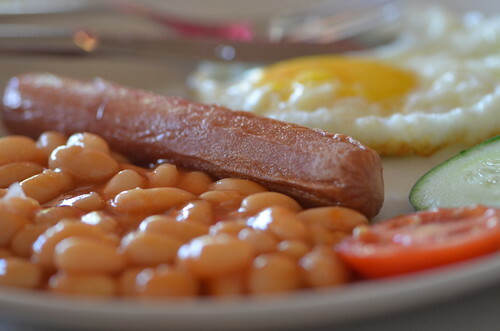 The little boy ordered a plate of baked beans and eggs. 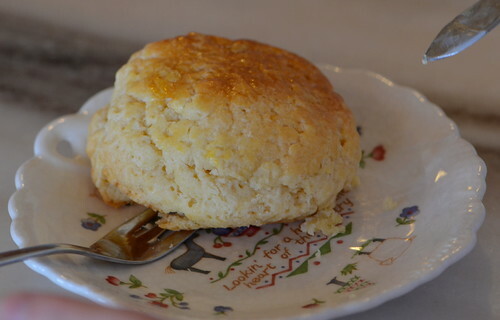 So, if you are in Cameron Highlands and want some scones, tea but at the same time, wish to have some local foods, visit Uncle Chow. It is somewhere near the Convent School, behind the Tourist Information Centre. There is a block of shophouse and you should be able to see the Uncle Chow signboard but you need to drive a bit further into the residential area to find the kopitiam. 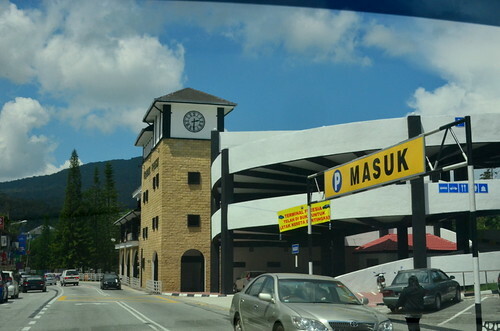 39000, Tanah Rata, Cameron Highlands.